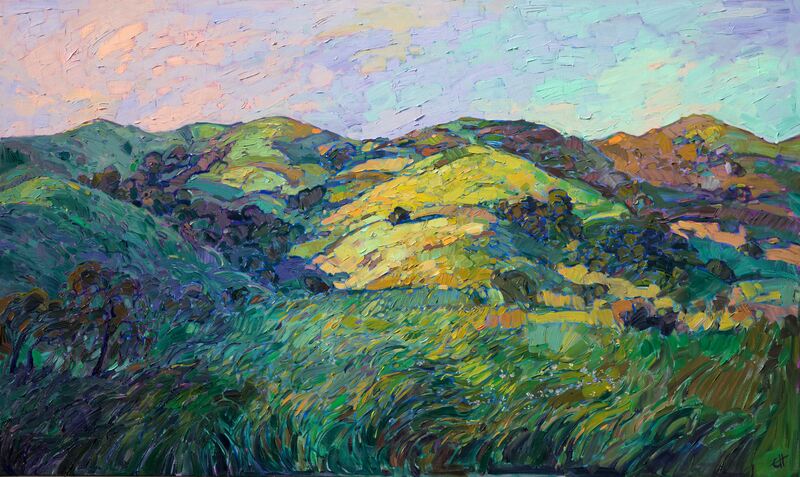 "Borrego Spring ArtWalk February 7th, 2014 brings an exhibition of Erin Hanson to the Tumbleweed Gallery. For some people the desert is a rocky wasteland void of color and life but, for those of us self-proclaimed desert aficionados, the desert the most beautiful, stunningly exotic location to live on the planet. When an artist and painter loves the desert, and can feel the life within the stretches of wash, hill, badland, mountain and is able to convey this love and teeming wildlife energy in paintings; then, we desert dwellers appreciate the art and the skill of the artist that much more. 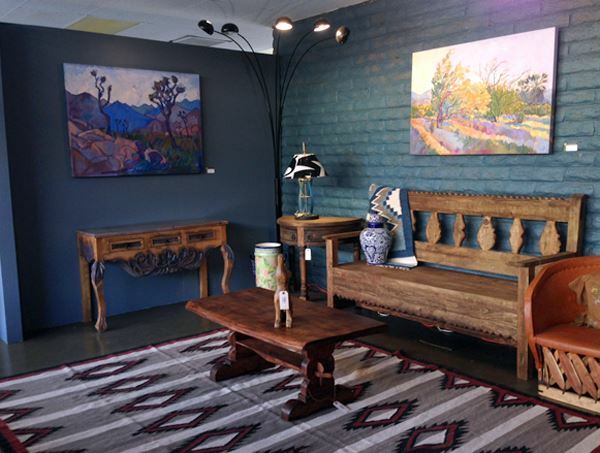 "To be able to a sense of movement or action into a picture and go beyond the boundaries of painting a scene… the ability to fuse life onto a canvas is the highest form of tribute to our desert homes and humankind. "Erin Hanson loves the desert and it shows. She loves texture and color. 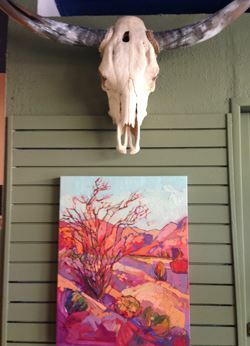 She appreciates the beauty of the subtle color palette displayed during every mood change in the Anza-Borrego Desert. "Hanson began painting as a young girl and at the age of 10, she began selling her paintings of pets. During high school she attended Otis College of Art. 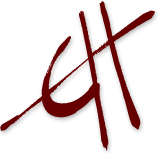 While an undergraduate at UC Berkeley, Hanson took pause from art to earn a degree in Bioengineering. Nevertheless, she kept painting with additional experimentation with different mediums. As has been shared by so many artists, the ability to paint and the need to experience difference mediums begins at an early age and continues onward. 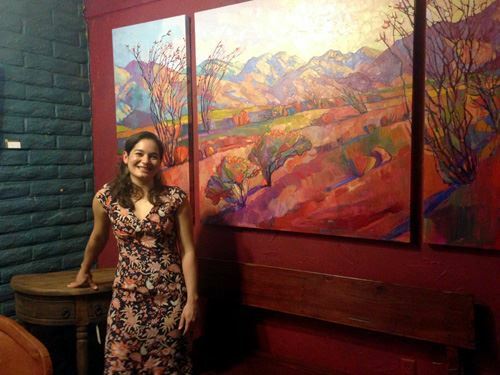 "In truth, however, it was not until Hanson relocated to Las Vegas - deep inside the desert rock climbing area of Red Rock Canyon - that she decided to return to painting as a full-time professional artist. Hanson continues to camp and backpack to feel close to nature. Then, Erin expresses her feelings being in this natural environment through her oil paintings. 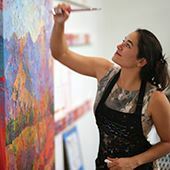 "Erin Hanson’s feelings and artistic expression speak volumes of her love of the desert; 'The desert got me back into painting in the first place when I was living as a rock climber in Las Vegas. To me the desert is the perfect landscape to paint since it is so dramatic, with it’s flat plains and sudden buttes and mountains popping out into the sky. I love the wide open skies. I love monsoon season. I love the wind and the sounds of the emptiness of the desert.'" Article by Sherry Jayne, Borrego Sun, February 2014.